Slip and slides come in all sorts of different shapes and sizes. 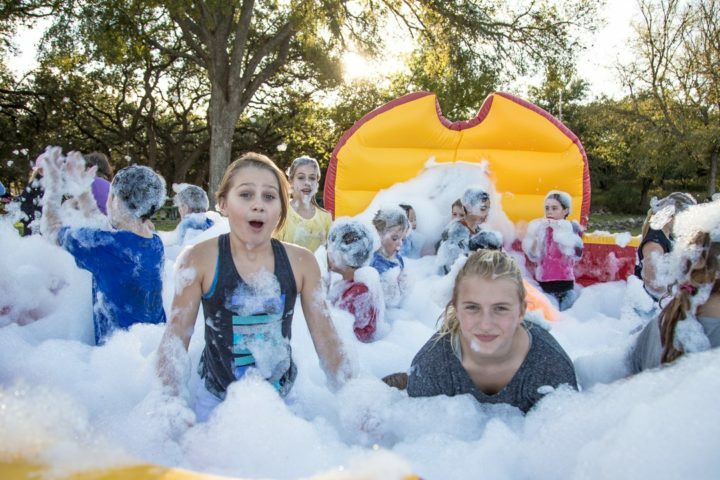 This particular slip and slide is not your typical backyard plastic sheet on the grass. Instead, an 18″ inflatable pad with protective sidewalls becomes your sliding surface. The advantage of the inflatable pad at knee level means that participants can run and dive onto the surface without risking bruising to their body. 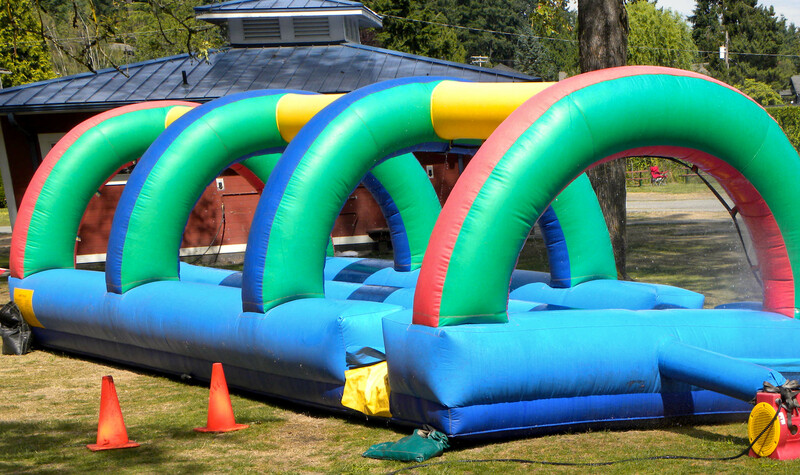 The colorful green, red, blue, and yellow arches have a misting hose strung throughout the length of the inflatable. 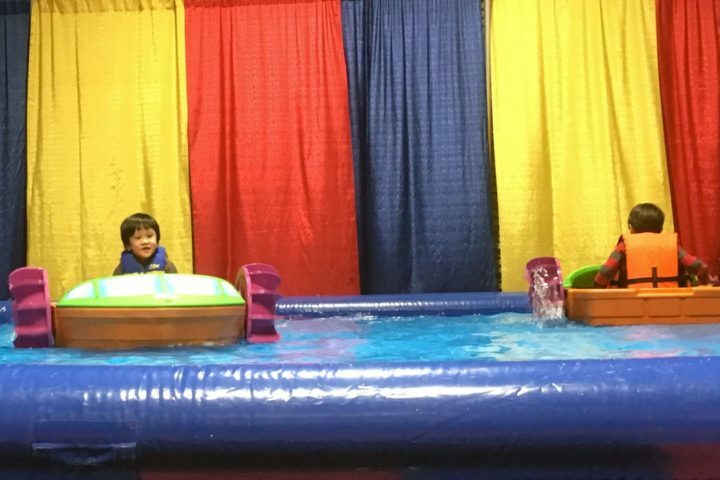 When connected to a water source, the inflatable continually soaks the slippery surface of the rental unit. 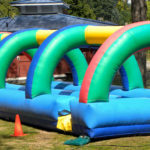 Further more, this slip n’ slide has two lanes, with an inflatable divider in the center, allowing for two participants to slide simultaneously. 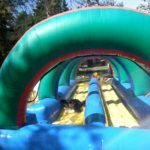 Due to the dual lanes and very quick slide times, it is not unreasonable for over two hundred guests to be able to slide every hour. High throughput activities are especially useful for high attendance events as they engage more attendees consistently throughout the duration of the celebration. When delivering this unit to your event, our professional event team will secure the unit to the ground using an appropriate combination of stakes and sandbags. Failing to secure the unit will cause it to shift over the course of the day as people dive into it. With all inflatable units we require that they be monitored by one trained volunteer or a professionally trained attraction staff member.